The following is a guest dispatch written by John Ohno, AKA @enkiv2. His musings on the world that might have been were lightly edited for this context. For me, the idea of cyberpunk is tied tightly to the assumptions and aesthetics of the early ’80s. And, unlike today, the early ’80s saw the peak of a Cambrian explosion in diversity with regard to home computers. It would only be later that the pathways would be culled: In the mid-to-late ’80s as GUI machines like the Macintosh, Amiga, and Atari ST pushed out the 8-bit micros, and in the early ’90s as poor marketing and business decisions killed Amiga and left Atari a shell of its former self. When Neuromancer was published, in 1982, comparing home computers based on merit was very hard: all of them were dysfunctional in strange ways (the Apple line began selling in 1979, but it wasn’t until 1983 that the first Apple II-compatible machine capable of typing lowercase letters was released; the Sinclair machines were so strapped for RAM that they would delete portions of numbers that were too big as the user typed them). The lineages that survived were arbitrary. Minor changes to history would produce completely distinct computer universes, alien to our eyes. In this essay, I’d like to tell you about a specific fork in computer history — one that, if handled differently, would have replaced an iconic and influential machine with one radically different. I’d like to talk about the Macintosh project before Steve Jobs. In 1983, Apple released the Lisa. It was a flop. As the first commercial machine with a PARC-style GUI and a mouse, it was too slow to use. At a price point of just under $10,000 dollars (about $24,000 today) and all but requiring a hard disk add-on that cost about the same amount as the computer, very few people were willing to pay as much for a flashy but unusable toy as they would for a car. It only sold 100,000 units. The Lisa was Jobs’ baby (figuratively and literally — it was named after his daughter, but it also was heavily under his control and based on extrapolations of his limited understanding of a demo of the Alto at PARC); however, by the time it was released, he had already jumped ship on that project and taken over the Macintosh project. 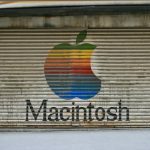 In 1982, realizing that the Lisa would flop, Jobs had distanced himself from it and taken over Jef Raskin’s Macintosh project, turning it into a budget version of the Lisa (with most of the interesting features removed, and with all development moved from Pascal to assembler in the name of efficiency). This part of the story is generally pretty well known. It’s part of the Jobs myth: a setback that forces him to reconsider what’s really important and leads to the creation of the Macintosh. What doesn’t get factored into the myth is that Raskin’s original plan for the Macintosh was both more revolutionary and more practical than the Macintosh was. The Macintosh began as a variant on the dedicated word processor, with a few interesting twists. At the time, it was under the direction of Jef Raskin, previously of SAIL and PARC. The Macintosh, as designed at the time, would use a light pen (rather than a mouse) for selection and manipulation of buttons (in other words, you’d use it like a stylus-based touch screen device), but the primary means of navigation would be something called “LEAP Keys,” wherein a modifier key would switch the behavior of typing from insertion to search. Raskin has claimed that this navigation scheme is up to three times faster than using a mouse, and considering the limits of scrolling speed on the Lisa and similar problems with all bitmapped display devices coming out of Apple at the time, this seems like an underestimate: for long documents, a quick text search would be much faster. While in normal operation the unit would act like a dedicated word processor, it is in fact a general purpose computer, and is programmable. The normal way to program it is by writing code directly into your text document and highlighting it — upon which the language will be identified, it will be compiled, and the code will become a clickable button that when clicked is executed. In other words, it’s a system optimized for ‘literate programming’. The proposal at the time of the project’s takeover was a little more ambitious, with support for a dial-up service for access to databases (something more like Minitel or Prodigy than today’s web) and an APL-derived language; when control over the project was taken away from Raskin, however, the core ideas mentioned above migrated to heirs to the project (an Apple II add-on called the SwyftCardand, later, a dedicated word processor called the Canon Cat). 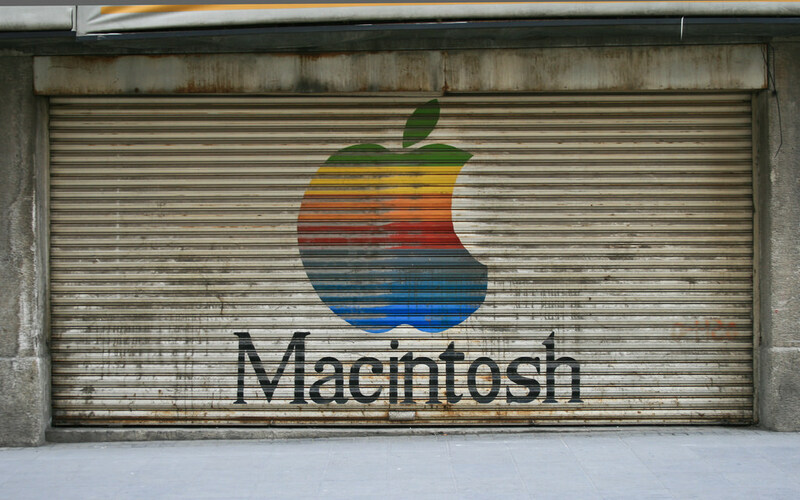 Ultimately, a few things killed the original Macintosh project. First, Raskin and Jobs were both abrasive people with big egos, and Raskin had circumvented Jobs (rather than convincing him) in order to get the Macintosh project approved, which made him and his project an easy target later. (“The Mac and Me,”, pp 19-21). Second, Raskin loudly criticized the Lisa project for exactly the problems it would later turn out to have (specifically: for not considering cost or speed, it became a slow expensive machine) in a way that was ineffective at making the Lisa faster while supporting other tech (the widespread use of Pascal in system software, high-res bitmapped displays, multithreading) that were blamed for some of the Lisa’s bloat. In other words, it’s possible (and maybe even straightforward) to claim that Raskin is partially to blame for the Lisa’s failure (despite not working on that project directly) and fully to blame for making his Macintosh project a juicy target for takeover. The SwyftCard implemented many of the planned features, but (from the limited information I can find) it looks like it didn’t sell well — after all, it was an add-on for the Apple II released shortly before the Macintosh, and the computer landscape by that point had changed. The Macintosh project under Jobs was in many ways a product of spite: an attempt to prove that a Lisa clone could be made with the budget of a dedicated word processor project in only two years, but also an attempt to demonstrate that such a project needed to reject Pascal, structured programming, and all the elements of good design that Raskin championed. Nevertheless, it incorporated some aspects of Raskin’s worldview (like being heavily driven by cost concerns and trying to avoid having multiple distinct idiomatic ways of performing tasks). The result was a project that was less impressive than the Lisa on all fronts except for speed and marketing. By the time 1985 rolled around, the Amiga and the Atari ST had come out and were positioned as direct competition to the Macintosh; while these machines were both cheaper and technically superior (supporting color, multithreading, having twice the ram and a CPU double the speed), Apple had already won the marketing war with its Super Bowl ad, and while the Macintosh took another decade to start selling well, its design assumptions heavily influenced all GUI machines that appeared later. Shortly thereafter, the stock market crash of 1987 so panicked Information Appliance’s venture capitalists that they drained millions of dollars from the company, depriving it of the capital needed to be able to manufacture and sell the Swyft. In the end, the Raskin’s Macintosh exerted very little influence on the landscape of computer interfaces, while Jobs’ Macintosh, nearly an unrelated project, has had enormous ramifications. GUI machines prior to 1984 were considered toys (and typically were) — pointing devices and high resolution graphics were associated with video games, and business machines maintained a “professional” image by avoiding mice and graphics. The Macintosh and its competitors changed this permanently, and ideas popularized by the Macintosh team (like hiding complexity, avoiding configurability, and omitting expansion ports) have had a huge impact on the way user interfaces are designed. A world based on Raskin’s Macintosh would be very different: a world optimized for fast text editing, where programs were distributed as source inside text documents and both documents and user interfaces were designed for quick keyword-search-based navigation. Only a handful of systems like this exist today, although incremental search has become common in web browsers in the past decade and template languages like Ruby on Rails, Ren’Py, and JSF (along with notebook interfaces like Jupyter) have some resemblance to the Swyft UI. Raskin continued playing with UI ideas until his death in 2005; his last big project was Archy. Again: “Alternate Computer Universes” was written by John Ohno / @enkiv2. Header photo by Ismael Villafranco. The following post was contributed by John Ohno. You may know know him as @enkiv2 from the Cyberpunk Futurism chat group or the #botALLY chat group. This dispatch serves as somewhat of a correction to my previous mentions of Second Life — here and here — for which I am grateful. While it’s possible to get non-human avatars in Second Life, doing so is more technically difficult than getting human-shaped ones. Second Life ships with the ability to customize within the range of pretty human-shaped avatars, but all non-human ones are third-party extensions that frequently break when Linden Labs makes upgrades. Ultimately those extensions are fairly expensive and not very customizable, because of the cost to upload meshes. At normal exchange rates, it costs about a dollar to upload a texture and a dollar to upload a mesh. An interesting avatar might require three or four new textures and a couple of meshes. Most people are unwilling to pay that and equally unwilling make the 3D-modeling effort in the first place. If somebody else does it for you then you end up with a mass-produced avatar that can’t be customized. You see a similar pattern on the open grid, where there aren’t any actual monetary costs for uploads, so I think the barrier is just effort and lack of customization. Image via ▓▒░ TORLEY ░▒▓. Linden Labs’ business model is designed around exchange with the in-game economy, and the primary method they have for forcing people to participate economically is to charge for uploads of certain types of content. There are a lot of things that you can do in-game without any money. But there are different domains. Built-in avatar customizations are within the same domain that you’d get in The Sims. You can change your height, breast size, eye size, hair style, nose length, and stuff like that. You can make yourself muscular or skinny. You can change your skin color to any color in the palette. You can wear any built-in or free clothing, or compose your own out of built-in or free textures, of which there are plenty. I used to play as an eight-foot-tall muscular green-skinned guy with red eyes in a leather trench coat, none of which cost me anything. However, if you want to diverge from the humanoid form, you’re replacing your avatar with an object that isn’t treated as an avatar. Objects can be created in-game for free, but there are resource limits based on the number of “prims” — primitive shapes. When you’re building with prims, you’re stuck with things like spheres and cubes and toruses and pyramids. You can theoretically make anything out of them, but it’s time-consuming and most “sims” (sixty-five square kilometers of land) have an upper limit of a couple hundred prims at a time. If you go over that, prims will disappear or be rejected. So you can’t build something really complex out of prims and wear it unless you expect to be literally the only person or object within sixty-five kilometers. About ten years after Second Life launched, Linden Labs added a couple mechanisms for getting around prim limits. Both of them involve doing your 3D modeling in some outside program and uploading a file. One is “sculpties”, where you turn a height map into a texture and use it to warp a sphere. The other is “meshes”, where you export a 3D model and import it as a single object, counted separately from prims for resource-usage reasons. 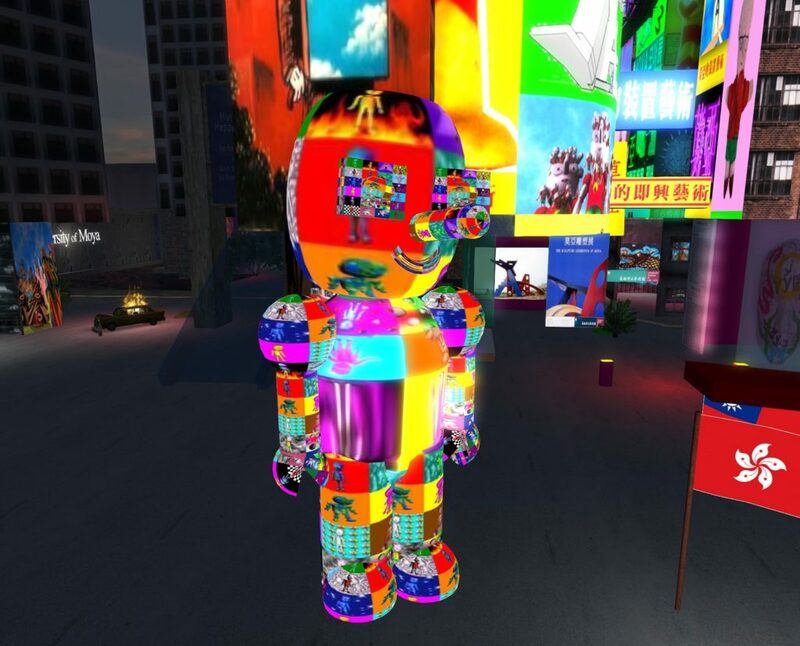 Super-custom avatars are typically made by shrinking or vanishing your human avatar, and then wearing one or more meshes. I’ve seen some cool ones, like Futurama-style heads in jars that float. The head-in-a-jar thing can theoretically be a single mesh and doesn’t require special animations, so that’s fairly cheap — but you need to model somebody’s head. On the other hand, if you want to have a kitten avatar, you’re going to need separate meshes for the legs and tail and upload animations for the walk cycle if you want it to do anything other than glide.